What's wrong with English education in Japan? This is the article condemning the situation of English education in Japan ―published on online newspaper Japan Today one year ago. they take English lessons in Japanese, impossible... where is English? 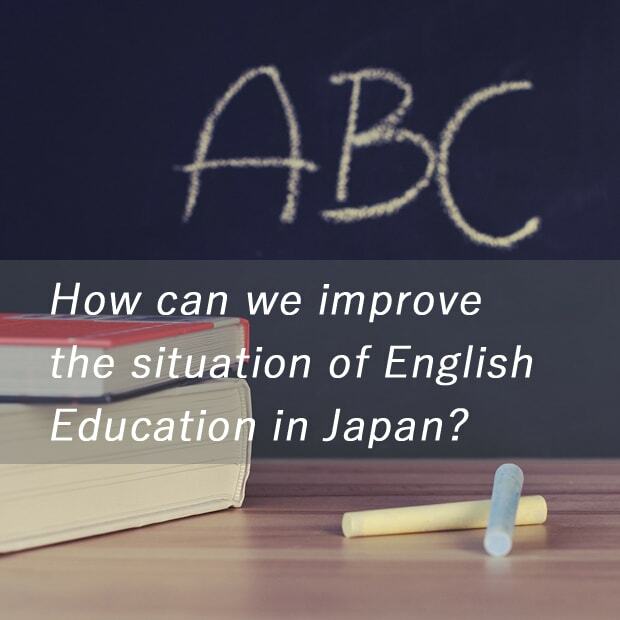 The solution for this or at least to improve the situation of English education in Japan is to do exactly the opposite to above. It's absolutely true that focusing on English tests scores is ineffective to learn real English. Now whatever the reason, we need to be set free from the current "TOEIC score" oriented society. If the foreign English educators all say that the quality of the textbooks in Japan is quite low, we have no choice but to admit it. However, we don't need to be pessimistic because nowadays there are lots of good English learning materials online. It's important to know the basic English grammar, but there is no need to remember them in Japanese words at all. Instead, it's much better if we learn them in English. Then, continue using English as much as possible. If you find the word you don't know in the sentence, it's still possible to guess what it means. Then, you can use online English dictionary. Well, that's all for today's topic. Thank you for reading. See you next time!